It’s that time where you need to find a reliable washer repair specialist that’s local and nearby. If you haven’t done your washer repair homework yet, no worries. You can call us and request a washer repair service visit. 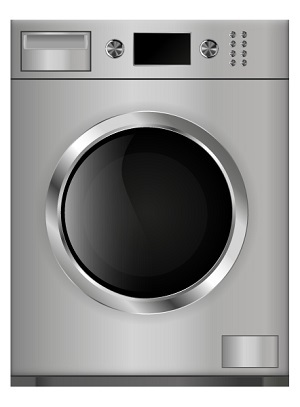 All our service calls for washer repair is free with completion of appliance repair. We hand select our washer repair technicians for both the commercial and residential side to offer a quality repair you’ll be satisfied with. One of the main reasons that our washer repair services are the best in the Los Angeles County is because of our diligence and commitment to detail. Detail is a top priority in our list for quality repair. 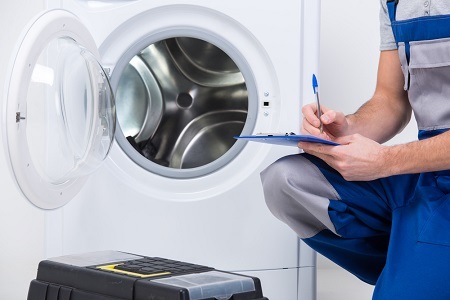 It’s imperative that every step of the washer appliance repair process is assessed in fine detail with thorough understanding and care. We don’t second guess or experiment on any washer repair opportunity. Every specialist in our hand selected appliance repair team is certified and fluent with the various appliance products and washer repair methods. Let our team of professional commercial washer repair specialists for the Los Angeles areas fix your washer systems today. Our expertise all started with the purpose of helping people and serving our community. We received one to many requests for expert service and repair for commercial washer repairs, and we opened and extended our scope of service to provide excellent service at a rate Los Angeles folks love. Within the hour of scheduling an appointment, one of our specialists will come out to your location (whether it’s a restaurant, business facility, or home) and repair your appliance on the spot. After all, it’s our commitment and purpose as a leader in the commercial appliance repair industry to provide truly great support and service. Our appliance repair team is straight forward and transparent. We truly provide an ongoing repair service that can’t be matched. Our services are top notch and that in and of itself is impressive since, many local Los Angeles residents and businesses rely on a dependable appliance repair man. The appliance repair business have been slowly falling out of love with repairing appliances in general because of the new technology and price points that have been rolled out by the leading appliance brands. As a professional commercial washer appliance service, we shouldn’t admit that on our website, but we believe in being honest and straightforward prior to the appointment. Most appliances that require service, maintenance, and repair are industrial, top rated, and have many more good years left as long as it’s being effectively managed and used. As a committed team of professionals, we undergo training programs and apply the latest service and care to our appliance repair. The washer system is unique and requires a thorough understanding to comprehend the malfunction of the issue. It’s not basic, nor can you apply a theoretical method of repair assuming that components are made similar. Washer repairs aren’t simple and are regarded as a sophisticated machine. We Needed Immediate Repair & Service for our Commercial Washers and Commercial Appliances Repair Came and Repaired Our Appliances Within The Same Day. Thank You! While some appliance repair businesses in Los Angeles claim to fix everything and are masters of none, we are a fully educated and well trained professional appliance repair company. Many of our appliance repair technicians are have a background in engineering and are fluent with technical issues regarding the various appliance systems. We believe that our services are entirely about excellence and customer satisfaction. At many occasions, our lead appliance repair technicians would offer helpful tips and guidance in which the customer would benefit a great deal. Our dedication for customer satisfaction drives us to provide support where we go above and beyond. We try to answer more questions than any other appliance repair company. We want our customers to engage more with our website, out technicians, and customer service representatives. We are the commercial appliance repair service company that ultimately fulfills the customer appliance repair questions and schedules an appointment. We offer same-day appliance repair and also accommodate weekly and monthly appointments.